The seventy-fourth in a series of posts highlighting buildings in East Wilson Historic District, a national historic district located in Wilson, North Carolina. As originally approved, the district encompasses 858 contributing buildings and two contributing structures in a historically African-American section of Wilson. (A significant number have since been lost.) The district was developed between about 1890 to 1940 and includes notable examples of Queen Anne, Bungalow/American Craftsman, and Shotgun-style architecture. It was listed on the National Register of Historic Places in 1988. In the 1930 census of Wilson, Wilson County: at 408 Reid, rented at $16/month, barber Oscar Williams, 31, wife Lula, 23, son William, 1, and sister-in-law Mena Jones, 20. In the 1940 census of Wilson, Wilson County: at 408 Reid, rented for $14/month, taxi driver Essie Smith, 28, born in Red Springs, N.C.; wife Alice, 26, maid at Woodard-Herring; and daughter Aggie Nora, 2; plus Annie McCohan, 50, widow, also from Red Springs. Photo taken by Lisa Y. Henderson, 2016. The twenty-fifth in a series of posts highlighting buildings in East Wilson Historic District, a national historic district located in Wilson, North Carolina. As originally approved, the district encompasses 858 contributing buildings and two contributing structures in a historically African-American section of Wilson. (A significant number have since been lost.) The district was developed between about 1890 to 1940 and includes notable examples of Queen Anne, Bungalow/American Craftsman, and Shotgun-style architecture. It was listed on the National Register of Historic Places in 1988. There is no listing for 106 North Reid in the 1930 census (or earlier); the house presumably was built shortly thereafter. In the 1930 Hill’s city directory of Wilson, there is a George W. White listed at the address. Is this a typographical error? Was George W. Vick actually the resident? Other records suggest that he did not live in the house until after World War II. On 23 October 1937, George White Vick, 32, son of Samuel and Annie Vick, married Blanche Curry, 25, daughter of Worth and Isabel Curry, in Nashville, Nash County. In the 1940 census of Wilson, Wilson County: at 1109 1/2 Washington Street, taxi driver George Vick, 34, and wife Blanche, 22, tobacco factory stemmer. At 106 North Reid: Ernest Jones, 34, tobacco factory truck driver; wife Nancy, 28, tobacco factory laborer; and sister Daisy Lindsey, 12; Ernest Barnes, 27, tobacco factory grader, and his wife Louvenia, 27, tobacco factory laborer; and Sylvester Page, 32. All three families rented rooms in the large house. In 1942, George White Vick registered for the World War II draft in Wilson. Per his registration card, he was born 9 June 1903; resided at 1109 1/2 Washington Street; worked for Safety Taxi Company; and his nearest relative was Mrs. S.H. Vick of 622 East Green Street. George White Vick died 24 June 1985 in Wilson. Photograph by Lisa Y. Henderson, February 2017. 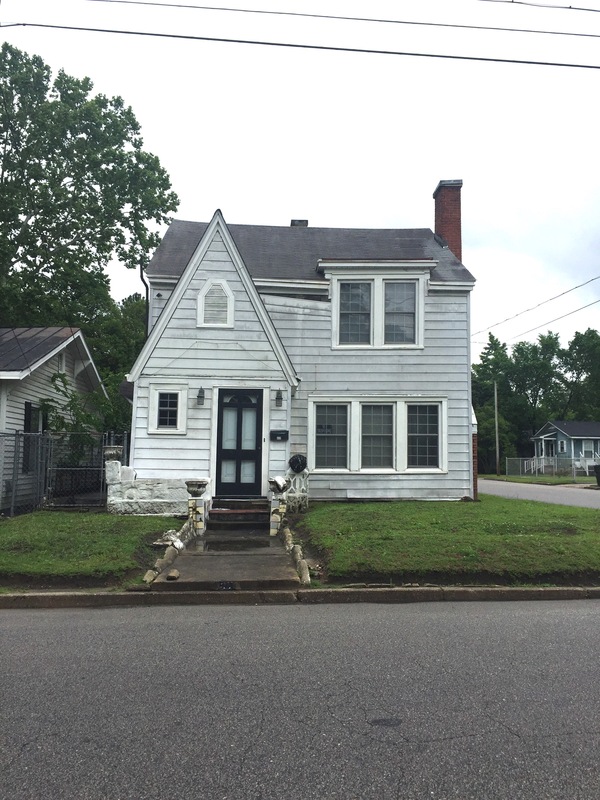 The sixth in a series of posts highlighting buildings in East Wilson Historic District, a national historic district located in Wilson, North Carolina. As originally approved, the district encompasses 858 contributing buildings and two contributing structures in a historically African-American section of Wilson. (A significant number have since been lost.) The district was developed between about 1890 to 1940 and includes notable examples of Queen Anne, Bungalow/American Craftsman, and Shotgun-style architecture. It was listed on the National Register of Historic Places in 1988. 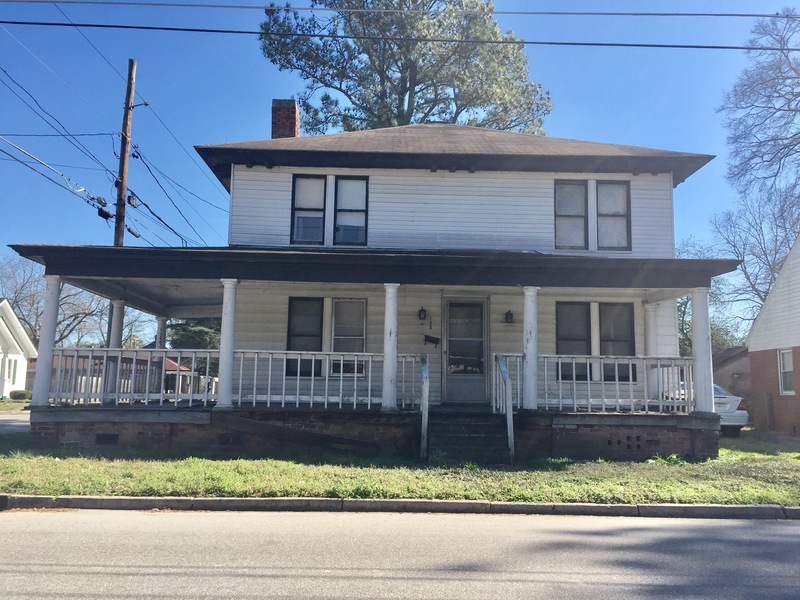 In the 1940 census of Wilson, Wilson County, the house at 304 North Reid was occupied by three lodgers: Carrie Melton, William Nunn and Beatrice Jones. Hattie Henderson Ricks and family moved into the house shortly thereafter and remained into the early 1950s. Of her time in the house, she said: And on Reid Street, Jesse Knight was in the house on this side. On that side there, a fellow that worked out to the hospital. He got married and his wife moved in there. She didn’t stay in there no time, and then somebody else moved in there. Photograph taken circa 1982 by Lisa Y. Henderson; interview of Hattie H. Ricks by Lisa Henderson, all rights reserved.